Quanto adoro quelle ballerine rosa, bellissime! Direi che hai avuto un mese ricco ❤️ La primavera sveglia in noi creatività e voglia di fare, hai creato bellissimi post questo mese e attendo con curiosità quelli di aprile! Un abbraccio stella! Have a wonderful day dear Lilli! 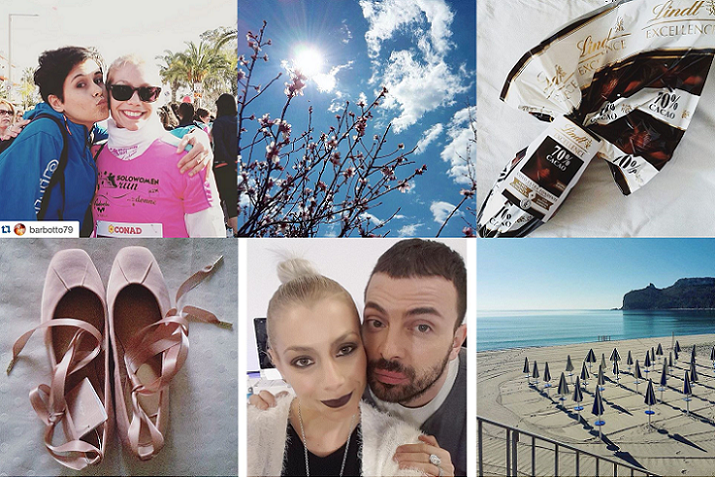 I like the Stradivarius shoes, the sunny photos and the beautiful flower pics that you've shared! Ciao Lilli! Ho puntato anch'io quelle ballerine rosa, sono super carine! This is a wonderful overview. I bet you can't wait to go to the beach. It's so nice. That Mickey Mouse sweater and girl mug are so cute Lily! You look great in every type of makeup! You're a lip girl like me. I love seeing snippets of your life in Italy on IG Lilli! I think I squealed when I first spotted the Mickey and Minnie Tsum Tsums because they're so adorable! Senti Lilli questo recap è bellissimo, le foto sono fantastiche.... ma i miei occhi sono solo x quelle ballerine: MERAVIGLIOSE!!!!!! Bellissime sempre le tue foto Lilli, bacioni ! Love it, seems to has been an active march for you.